Erdem Helvacioglu is one of the most renowned music composers of his generation in Turkey. His compositions have been referred to as “emotionally evocative soundscapes with remarkable beauty”, as “luscious and unique” and as being “completely arresting and disarmingly beautiful”. He has received commissions from the music ensemble Bang on a Can-All Stars, TBA 21 The Morning Line, Borusan Center for Culture & Arts, Arter "Space for Art", The Association for the Art of the Harp, Novelum Contemporary Music Festival, International Istanbul Biennial (IKSV) and most recently by MUCEM, Marseille. His sound installations have been presented at museums and galleries such as the 10th International Istanbul Biennial, Los Angeles Track 16, Indonesia Soemardja and London Menier Gallery. His film music has been heard at the film festivals in Cannes, Sarajevo, Locarno, Seoul, Sao Paulo, Sydney and just recently at the Berlin International Film Festival. 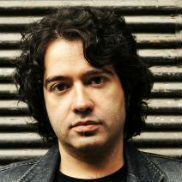 Erdem Helvacioglu received the 'Best Original Soundtrack' award at the 2006 Mostramundo Film Festival as well as awards for his electroacoustic compositions from the Luigi Russolo, MUSICA NOVA and Insulae Electronicae Electroacoustic Music Competitions. The Hollywood Reporter praised Erdem Helvacioglu's score for Melisa Önel's film Seaburners which had its world premiere at the Berlin International Film Festival 2014 as „outstanding soundwork“. Seventeen-year-old Yusuf comes home after spending four years at a detention center. His return to the family circle, and reuniting with his older brother Ramazan above all, freshly recall the act that the other family members, bound by rigid tradition, forced upon him as the younger son. In his intimate debut Ömür Atay shows an assured directorial hand as he unveils a family tragedy for the audience through a carefully measured release of information, a tragedy that forever disrupts relations between the individual members. 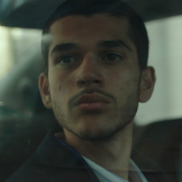 With great precision the director portrays young Yusuf’s struggle to choose between blood ties and tradition on the one hand, and what he feels is morally right on the other. Brothers will have its world premiere in the Competition Programme of Karlovy Vary International Film Festival on July 2, 2018. 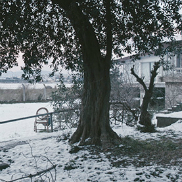 The sale of an inherited house results in an unspoken tension between Cigdem and Kerim, a couple in their late thirties, to which their daughter does not seem indifferent. Sinan Kesova's film was premiered at Istanbul Film Festival on April 11, 2017 and received the FIPRESCI-Award in the category National Short Film Competition. Sarajevo Film Festival screened the film in its Competition Programme - Short Film in August 2017. A harsh wintery scene on the Turkish Black Sea coast. Denise, a foreign botanist, has ended up here for research purposes. She stoically trudges through water knee-deep to get to the remote site where she cultivates her plants. With the same resolve and fearlessness, she also makes her way through the night to the secluded cabin where she meets her lover Hamit. He is a have-not who has only remained in this desolate region following a failed attempt to set up a livelihood abroad. And because of his relationship with Denise. It’s a dilemma, since Hamit cannot let her know that he works as a human trafficker, making a living by helping others flee to Europe. But Denise is tired of his mysterious behaviour. When she is called back to her home country and one of Hamit’s jobs spirals out of control, he makes a decision that ends in catastrophe. Rich in ellipses and pointedly non-linear, Melisa Önel’s poignant debut film leaves much literally in the dark. Its striking, sombre images correspond to a world of little hope or solidarity, in which a state of inner displacement prevails.